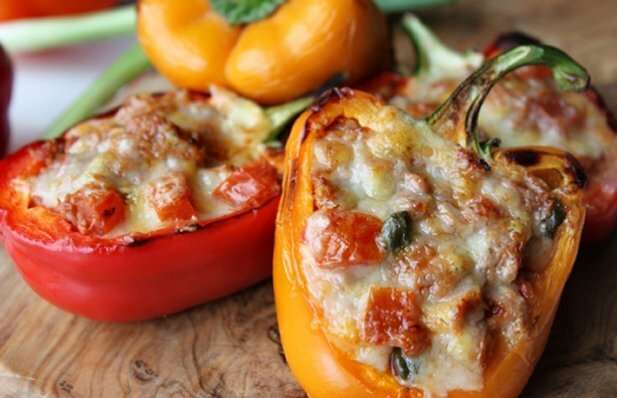 This Portuguese tuna stuffed peppers recipe creates a rich, tasty and out of the norm hearty meal. Chouriço (Portuguese sausage) is a key ingredient as well, for that extra kick, and its easy and quick to make. Place the Tuna and the Chourico in a bowl, cut them into pieces, and add the chopped tomato, garlic, the parsley, lemon juice, and salt and pepper (to taste). Add two tablespoons of olive oil to the bowl and mix very well. Put the mix into the 4 halves of pepper and cover/top each with a tablespoon of grated cheese. Place the peppers on a baking sheet and bake them in the oven for about 15 minutes. Serve this delicious Portuguese Braga cod with onions (bacalhau à Braga) with white rice. 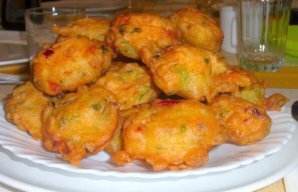 Serve these amazing Portuguese cod fritters (pataniscas de bacalhau) with rice and a salad. 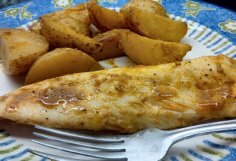 It's a Portuguese fish dish with yummy potatoes.